When the Archiver™ recognizes new video information from an attached ETC™, it typically automatically syncs the new material. To adjust ETC™ feeds, access the Archiver™ and navigate to the system settings icon. Select [System Settings] and choose the Archiver™ tab. Click [Attached ETCs], choose which ETC you want to attach to and click [Attach]. NOTE: It is possible to schedule predefined sync times. To do this, access the Archiver™ and navigate to the system settings icon. Select [System Settings] and choose the Archiver™ tab. Select [Sync Times] from the lefthand menu and choose [Add]. The Archiver™ has the ability to automatically delete successfully-synced videos. To enable or disable this feature, navigate to the system settings icon and select [System Settings]. Under the Archiver tab, select [Sync Options]. Choose whether or not to automatically delete synced videos and then select [Save]. Resolved for ETC FusionHD™ front-end in software update v19.03.08. The AVMatix panel should no longer display an SSL-related error when accessing the software directly from the ETC™. NOTE: When accessing the ETC™ or AVMatix™ via a browser from a client machine, the SSL-related error can be resolved by accepting the certificate for the AVMatix™ when the security exception alert is presented by the browser. 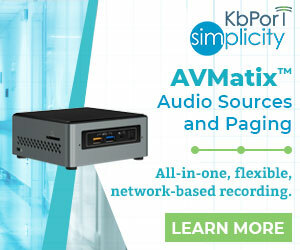 Once the certificate has been added for each AVMatix™ device, you will no longer be prompted to accept the certificate. When accessing the ETC™ or AVMatix™ via a browser from a client machine, the SSL-related error can be resolved by accepting the certificate for the AVMatix™ when the security exception alert is presented by the browser. Once the certificate has been added for each AVMatix™ device, you will no longer be prompted to accept the certificate and will no longer experience the SSL-related error on the AVMatix™ pane of the ETC FusionHD™ (when accessing via browser on client machine). NOTE: If offline website data and and site preferences are cleared for the browser, this process will need to be repeated. Make sure your browser is up-to-date. 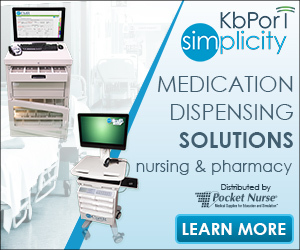 We recommend using the KbPort™ browser. To download the browser, navigate to system settings in your ETC™, and click the Advanced Settings tab. Next click [Downloads] on the left menu. Under KbPort™ Browser, select the Windows link. After installing the browser, open it and navigate to [About]. Select [Plugins] and then change [Off], which is the default setting to [On]. Finally, restart your browser. NOTE: KbPort™ ETC™ browser is available on Windows OS only. 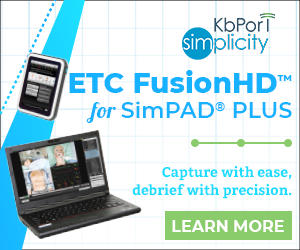 Ensure ETC FusionHD™ software version is up-to-date. Current version: v19.03.08. After logging in to your ETC™, navigate to system settings and click the Advanced Settings tab. Next click [Streaming] on the left menu. Be sure video re-encoding is enabled. Click [Save]. Finally, restart your browser. MOV/MP4: Universally recognized video formats. Recommended to quickly and conveniently export videos to provide to other personnel if they do not have access to the Arhiver™/ETC™ device to debrief footage. These are lossy video formats (the footage is compressed to a smaller file size and will have a slight decrease in image quality). Native: Natively-recorded footage. Not universally recognized; fewer machines/media playback services recognize the file type. This is a lossless footage (no compression) and has the ability to associate event/flag information with the ETC FusionHD™ interface as opposed to event/flag information being exported as a document file. Support will remotely access the machine and push a back-end update to resolve the issue. In the event that Support cannot do this, Engineering will be notified and they will need to evaluate root of problem and rectify … Not a very intense / long process. This may require access to another ETC / SSH capabilities on WinOS PC. Contact your IT department. Your IT specialist will need to create an email address on your facility domain to be used as the sending address to the recipients. To populate this information, access your Archiver™ and navigate to the system settings icon. Click [System Settings]. Under the System Settings tab, select [Email]. Enter user email address information associated with your account information. Click [Save]. First, verify the XLR to mixer and USB from mixer connections are secure. Be sure to check that both the input for the microphone is at a reasonable level and that the main line output for the mixer is at a reasonable volume. If after the first step you still do not hear audio, next verify that the mixer input is enabled by navigating to the audio settings from the system settings icon. The name will display under the Inputs section. Another way to locate point of failure is to attach headphones to the 802 mixer. If audio is heard, the microphone is working. If no audio is heard, there may be a faulty mixer, faulty USB cable, or faulty USB port. Attempt to swap the USB cable or connect to a different USB port on device. Individuals will need to be provided with a new license key. Upon logging in with an expired account, they will be asked to provide their new license key for access to the current SimEMR® subscription. NOTE: All user email/password information is stored. This issue is related to Gaumard Vitals™ Patient Monitor software and was corrected in the most recent release from Gaumard. To correct this issue, update your Gaumard Vitals™ software. Sign into v2.simemr.com using your Lab Coordinator credentials. From the navigation panel on the left, select [Manage Subscriptions] and then [Manage Subscription]. All license keys for your agency will be displayed, along with the associated role for each license key (Learner, Instructor, Lab Coordinator). Select an unclaimed key, with the appropriate role, then copy the key. Distribute the key to the learner/faculty member and direct them to v2.simemr.com. This user will select [Register as a New User] below the login area. SimEMR® will generate a verification email to the email entered by the user during the registration process. The user should click the link in the verification email, which will prompt them to provide their license key. Once verified, the user will be able to access SimEMR® with the permissions associated with the role. In the event of faculty turnover, you can revoke licenses from individuals no longer in the facility, effectively revoking their access to the platform. Doing so will regenerate a string of characters to be used for a new license key. Provide this key to a new user to complete the registration process. The same applies to learner keys. Turn off the cabinet (if applicable as SimCabRx™ mini does not have a power switch). Next, unplug the USB cable from the AIO computer and wait 30 seconds before reattaching the USB cable. Then power the cabinet on (if applicable), which will effectively reset the connection from the cabinet to the AIO. NOTE: In rare instances, the AIO may need to be rebooted. 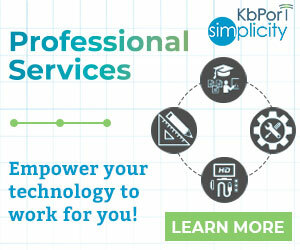 If this does not rectify the issue, contact KbPort™ support. ETCs do not synchronize event and flag information between one another. You will need to create the lists on each ETC device in use. Customers with an active Support Plan can contact KbPort™ Support to receive access to the most recent offline update software.